A suspended Massachusetts State Police Trooper has agreed to plead guilty in connection with the overtime pay scandal that continues to rock the department. Kevin Sweeney, 40, of Braintree, was charged with one count of embezzlement from an agency receiving federal funds and one count of wire fraud. 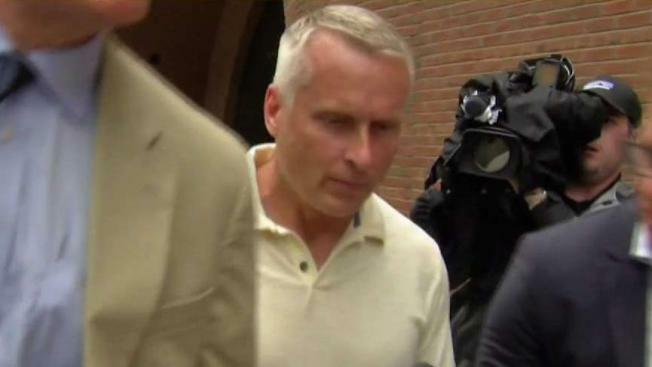 According to court documents, Sweeney was assigned to Troop E, which was responsible for enforcing criminal and traffic regulations along the Massachusetts Turnpike and Interstate I-90. Authorities said in 2015, Sweeney earned $249,407, which included approximately $111,808 in overtime pay. In 2016, Sweeney earned $218,512, which included approximately $95,895 in overtime pay. Authorities said Sweeney was allegedly paid for overtime shifts that he either did not work at all or from which he left early. He allegedly concealed the fraud by submitting fraudulent citations. Authorities said Sweeney agreed to plead guilty to being paid $11,103 for overtime hours that he did not work. Sweeney is the sixth member of the Massachusetts State Police to be charged and the second to plead guilty. A court date for Sweeney has not yet been scheduled.